If your doctor has recommended cortisone shots, it’s likely for the purpose of reducing inflammation and relieving you of pain. A physician typically injects cortisone into a joint, such as the knee, shoulder, or hip. Here’s what you can expect from this procedure, as well as side effects and risks. Cortisone, which is typically administered as a corticosteroid (a steroid hormone), works by suppressing the body’s immune system, which minimizes the swelling and inflammation associated with the injury or disease and relieves pain. Your doctor will first prep the area for the injection with local anesthetic. A cortisone injection itself does not necessarily cause pain, but will feel like pressure in your joint. The corticosteroid is then released into the injection site, usually along with an anesthetic. While the corticosteroid works gradually to reduce inflammation and pain over time, the anesthetic works much quicker to provide immediate pain relief. You can watch the setup for a knee joint injection in the following video. What are side effects of cortisone shots? If the pain becomes bothersome, you can reduce it with an ice pack. It typically will only last for a few hours. It will be necessary to keep the area clean and protected and watch for any signs of infection. If pain or redness lingers, or is accompanied by a fever, contact your doctor immediately. Everyday Health discusses some more of the pros and cons of corticosteroid injections here. How many times can you get a cortisone shot? The number of cortisone shots given depends on the patient. However, cortisone injections are rarely given repeatedly over a long period of time due to risks and potential complications. First, there is some evidence that cortisone may contribute to the destruction of cartilage in a joint. So while the cortisone injections can do much in the way of relieving pain for a patient, he or she may be limited to only two, three or four, depending on the severity of the condition. Second, because cortisone limits the immune system, there is the potential for infection and deterioration of tissue around the injection site. Physicians routinely advise patients to suspend use of any blood-thinning medications prior to administration of the injections to prevent excessive bleeding and bruising at the injection site. Should I get cortisone shots? Before attempting any procedure, it’s important to talk to your doctor about all of the potential benefits, and potential risks. A cortisone injection can help temporarily reduce some types of joint pain. However, you should never use it as a primary therapy due to risk factors that increase with repeated cortisone shot procedures. For more information, talk to a doctor. 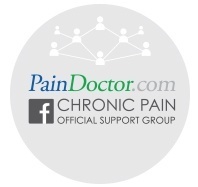 You can find a pain specialist in your area by clicking the button below or looking for one in your area by using the tips here: https://paindoctor.com/pain-management-doctors/. Hi Alan — We’re not sure exactly what information you’re looking for, but also can’t give specific advice online. If your doctor is unable to provide more literature on the procedure, we recommend talking to one of the pain doctors in our network: https://paindoctor.com/find-your-pain-doctor/. Hope that helps, thanks! I turned down a cortisone shot in my neck for a bulging disk. I’m not in very much pain anymore. I’m maybe at a 1 on the pain scale and even then it doesn’t hurt all the time. I didn’t think the shot was necessary. Should I have gotten the shot? Hi David — That’s a question for a doctor as we unfortunately can’t offer specific medical advice online. However, if you’re at a 1, that means you must be doing something right! I am in lot of back pain. Pain management give me three testing shots each side of lower back. That did not work. though it was burcitis and gave me a shot in my hip and that did not work. I do not want anymore shots.What next? Hi Betty — There are some options beyond shots, such as spinal cord stimulation: https://paindoctor.com/spinal-cord-stimulation-for-chronic-pain. Unfortunately though we can’t give specific medical advice online to say what would work for you. You can try contacting one of our PainDoctor.com certified pain specialists here to learn about which options could work for you: https://paindoctor.com/find-your-pain-doctor/. Hi Roy — We’re so sorry to hear that. You can find a pain doctor near your mother who can give her specific treatments for her pain: https://paindoctor.com/find-your-pain-doctor/. Hope that helps! How can I find a doctor to do Coolife knee injection in Lancaster, Pa.
Hi Annie — you can find a pain doctor near you using our search: https://paindoctor.com/find-your-pain-doctor/. Hi Renee — Unfortunately we can’t answer specific medical questions online. We do recommend reaching out to your doctor about any side effects or questions you have.